Apple’s AirPod wireless headphones have been one of the firm’s most successful products – and others have taken notice. Both Google and Amazon are set to launch similar headphones next year, it has been claimed. 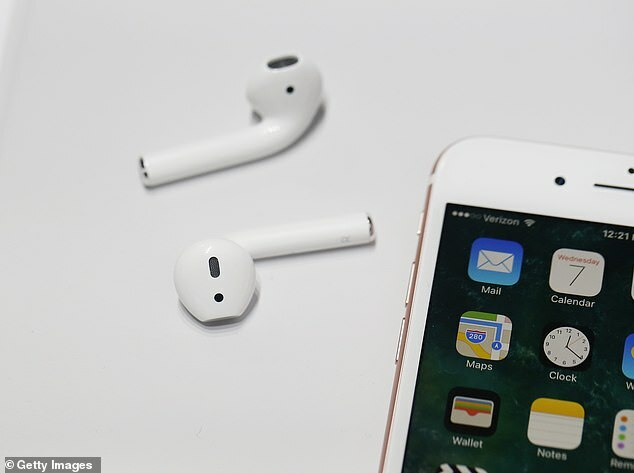 Many were taken by surprise by the huge success of the $159 Airpods – and they are about to spark a headphone war, according to Apple analyst Ming-Chi Kuo. ‘We believe that AirPods’ success has drawn Google and Amazon’s attention and these two companies will launch AirPod-alike products in 2H19,’ wrote, according to 9to5Mac. The combined shipments of two brands will likely reach 10–20mn units in 2H19, it is believed. Apple had been expected to launch an upgraded case giving the headphones wireless charging capabilities alongside its AirPower charging mat last year. However, both products failed to materialise. Now, analyst Ming-Chi Kuo said that Apple will release an ‘upgraded model with wireless charging support’ in the first quarter of 2019, according to 9to5mac. Kuo also said an all-new design AirPods is currently on track to launch in early 2020. He forecasts dramatic unit growth for AirPods with units rising from 16 million units in 2017 to over 100 million by 2021. The well respected analyst calls them Apple’s most popular accessory ever, and said existing iPhone users are more likely to buy AirPods than upgrade their phone itself. The new AirPods are also expected to have upgrades to their bluetooth capabilities. 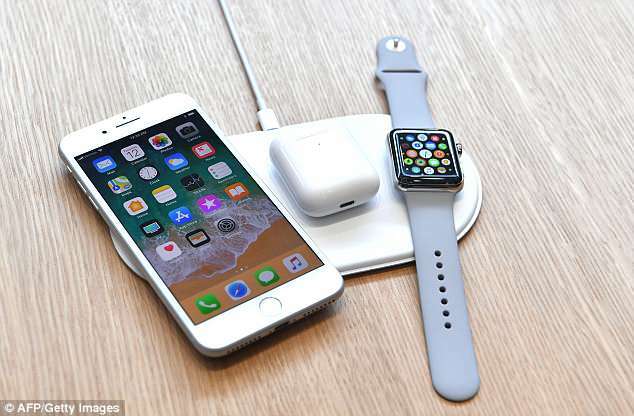 However, Apple claimed to have added a number of software features to improve the wireless charging experience when used with its iPhone and Watch products. Apple originally said it will sell the AirPods wireless charging case as a separate add-on accessory for existing AirPods owners, and release a minor revision to the whole product at the same time — which includes the wireless charging case. Kuo does not go into detail about what the ‘all-new design’ 2020 AirPods will feature. Previous rumors have suggested features like sweat resistance, Hey Siri integration and noise cancelling. It also raises hopes Apple’s much delayed AirPower wireless charging mat may be released next year. It had been suggested Apple had abandoned the gadget, after the firm failed to mention it at all during the unveiling of its latest range of handsets last month. Apple also scrubbed a number of prominent references to the device from its online retail store during the iPhone XS launch event. Twitter user Gavin Stevens shared an image from the ‘Getting Started Guide’ that comes with the iPhone XS. 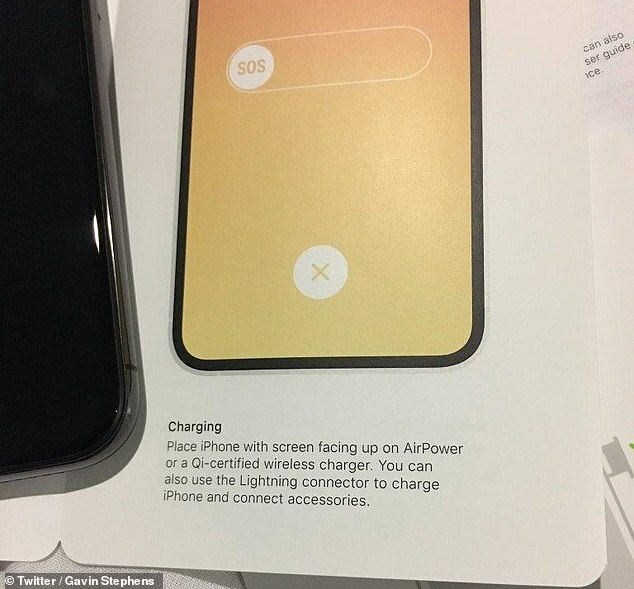 It reads: ‘Place iPhone with screen facing up on AirPower or a Qi-certified wireless charger. This suggests that Apple is still actively working on the device. ‘What I’ve heard, third-hand but from multiple little birdies, is that AirPower well and truly f*****,’ wrote John Gruber on his Daring Fireball blog last week. ‘Something about the multi-coil design getting too hot — way too hot. AirPower was originally announced during the September 2017 launch event for the iPhone X in Cupertino. It promised to provide wireless charging for future handsets, Apple Watch and AirPods. Unlike conventional QI wireless chargers, which can power one device at a time, the AirPower is designed to power all three at once. At the time of the iPhone X launch last year, the company said it expected the device to be available for purchase in 2018, but it didn’t specify a date. Despite the latest range of iPhone Xs unveiled being equipped with wireless charging capabilities, the Californian firm remained tight-lipped about its own charging solution. Apple also removed all prominent references from its online retail store, bar a trademark for the name buried in the legal section of its site. It appeared that anyone who buys the latest Apple hardware would have to purchase a third-party solution that is compatible with the Qi standard of wireless charging. 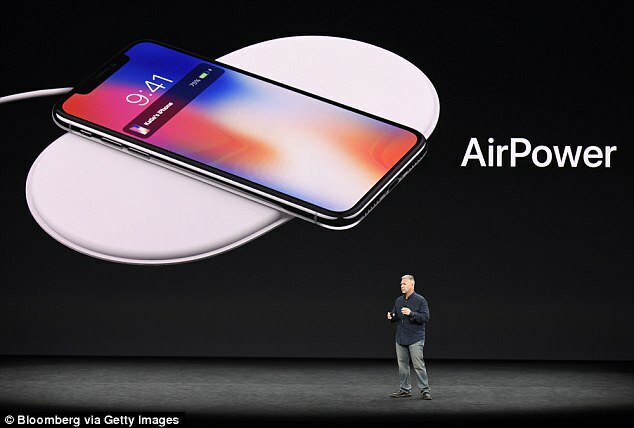 Since then, AirPower hasn’t been publicly discussed by Apple and the release date has been quietly dropped from the official website amid a flurry of rumours the company is struggling with the wireless technology. In a rare move for Apple, it has suggested iPhone customers buy charging hubs from Mophie, Belkin and Logitech – which are also listed on its online retail store. Speaking on-stage during the 2017 iPhone event, Apple Senior Vice President of Worldwide Marketing Phil Schiller said: ‘We hope people love it, and that it encourages others to create more advanced solutions based on technology like this. One of the biggest issues believed to be causing the delays with Apple AirPower is the mechanism to charge three separate devices, including an iPhone, Apple Watch and wireless AirPods headphones, simultaneously on the same surface. The amount of power required to charge all of the devices is causing some issues with overheating, according to rumours from inside Apple.